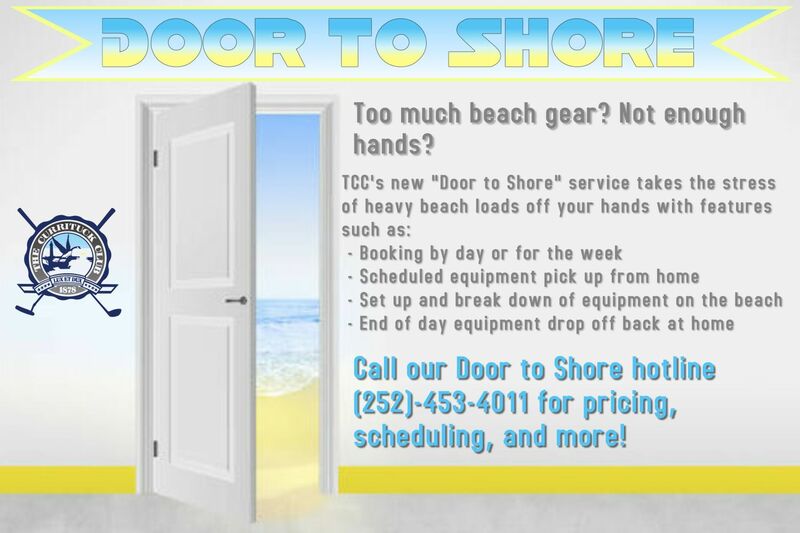 The Currituck Club's new "Door to Shore" service is all about taking away any heavy lifting involved in your trips to the beach. With prices competitive to beach rental companies around the area, Door to Shore is the sure way to fully enjoy every aspect of your daily beach trips. Our team will pick up all of your beach equipment in the morning from your home, set it up on the beach for you, and then even break it down and bring it back to the house whenever you decide to call it a day! We understand a full beach day can call for bringing enough gear for the whole family, so let us make the whole process easy for you!